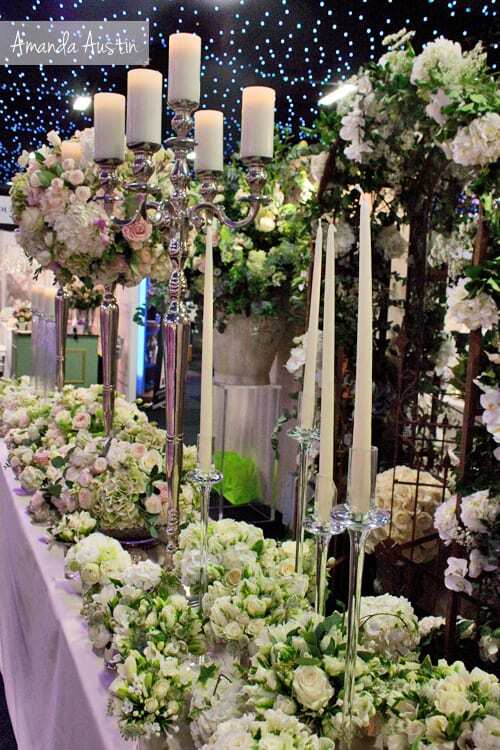 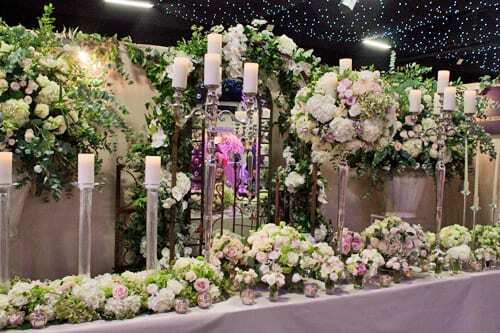 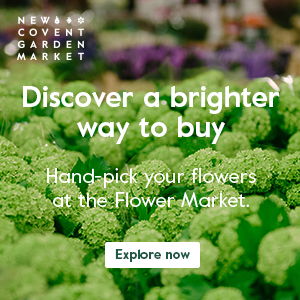 This week on Wedding Wednesday, I’m delighted to feature London florist Amanda Austin‘s stand at Brides The Show. 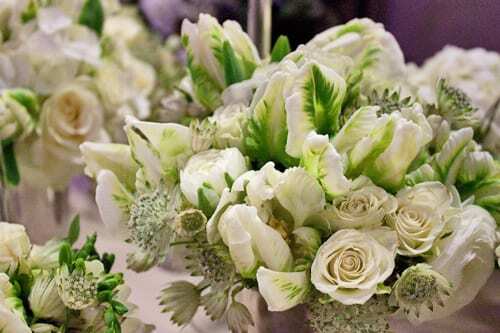 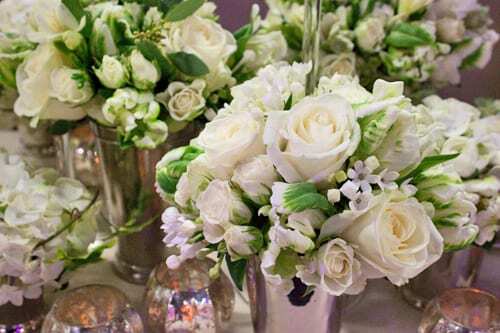 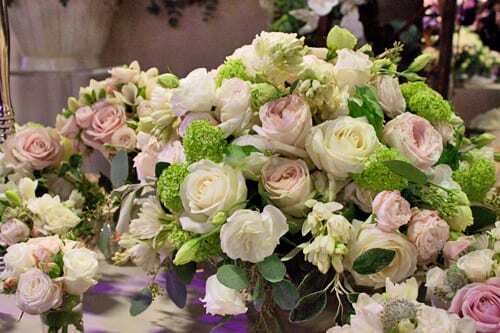 Amanda used a colour palette of white, cream, blush and green to create her stunning wedding flower designs. 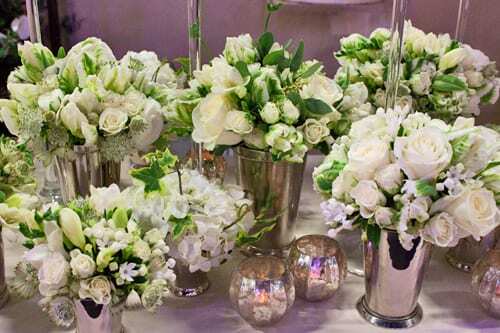 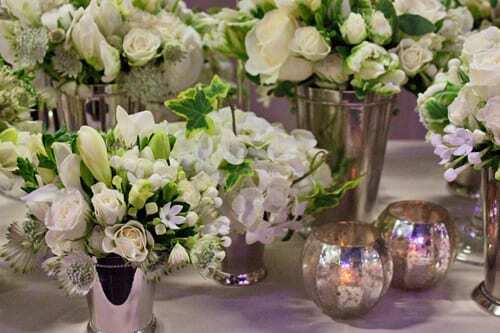 There were tall domes of blooms and pedestals, complemented by low arrangements in the form of pretty posies in silver vases. 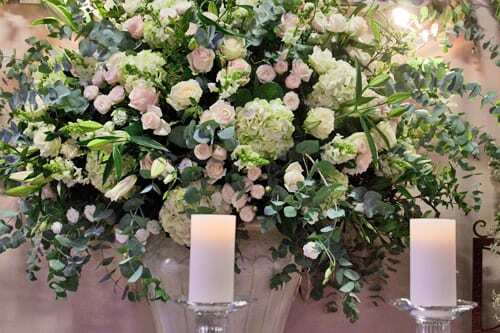 The flowers featured included roses, parrot tulips, bouvardia, hydrangeas, astrantia, freesias, lisianthus and lilies. 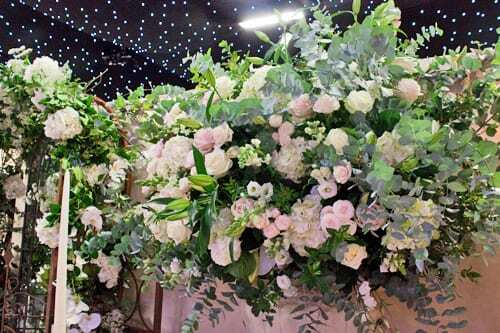 Guelder rose, ivy and eucalyptus provided the green element. 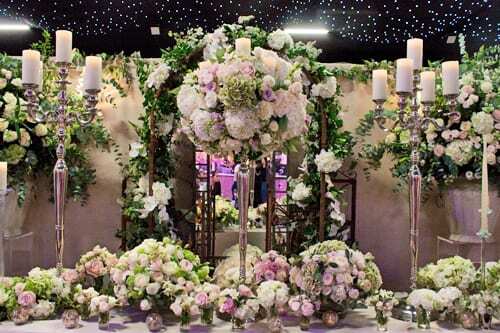 I hope you’ve enjoyed seeing Amanda’s opulent wedding flower designs. 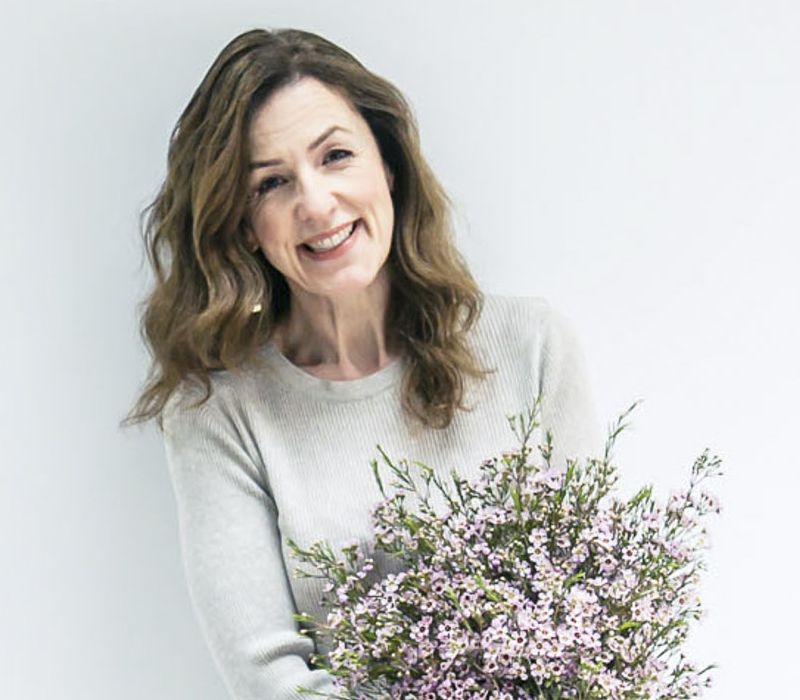 If you’d like to see more of her work, please do visit her website.